There are only so many disasters a business owner can prepare for, and Superstorm Sandy wasn't one of them. Wednesday marked the first time employees at Jerry's Cafe in lower Manhattan were able to return check out the damage. The floods hadn't reached it, and as far as they could tell, wind hadn't broken anything. 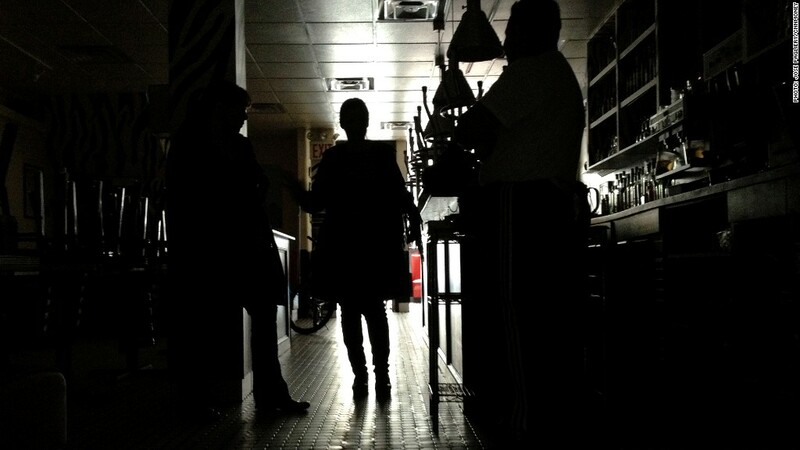 But the restaurant, like thousands of other businesses in the area, had lost power. To homeowners, that's an inconvenience. To restaurant owner Frits de Knegt, it means losing money. Lots of money. The pitch black basement smelled of stale feta cheese as de Knegt's restaurant managers, armed with flashlights, filled 19 garbage bags with rotting food. Meanwhile, 73-year-old de Kneght sat in his powerless apartment a mile north in SoHo and did the math: If power comes back by week's end, he'll lose $50,000. Compared the utter destruction seen along the New Jersey coast, ruined food sounds minor. But small businesses often run on thin profit margins. It's almost too much for de Kneght to bear. He has decided to pay his workers at least partially, even though Jerry's remains closed. While on the phone hearing about the damage, he considers simply closing or selling the place instead. Then he pauses. "These people have families to feed," he said of his 26 workers. "A week out of work is devastating to these people. I think about when I was in their shoes, when I was a young man working for somebody." He's reminded of that moment in 1958, when he was cut from a New York restaurant's waiting staff. It was the last time he worked for someone else. "I still remember that feeling of abandonment, fear," he recalled. "I said to myself, 'If I'm ever in that position, I will not do this.'" Also on Chambers Street, just a few steps away from Jerry's Cafe, Quiznos franchise owner Erfan Mia has similar struggles. His last delivery came in the day before the storm, and when the power went off, he lost it all. Mia sat in the shadows inside his tiny restaurant as workers cleaned out smeared containers behind the counter. Mia's loss won't stop at the $10,000 of rotting meats, cheeses and ingredients. Power is expected to come back on Saturday, but Mia will have to wait until then to order a new shipment from vendors. The problem is, so will everyone else. And even when the food does eventually arrive, it'll be a few more days before regular customers realize he's open again. The end tab might be closer to $25,000, he guessed. "We'll have to go into debt," Mia said. "We cannot even keep up with the rent." Mia and other small business owners perched along Chambers Street don't expect insurance to be much help either. They all bought run-of-the-mill business insurance, but none of them invested in a plan that covers hurricanes. And a bitter surprise awaits those who bought yet another layer of protection for unexpected shutdowns, business interruption insurance. It probably won't apply, because policies only kick in if a business property is physically damaged. No money is offered to those who can't serve customers without power. The same applies to businesses along New York's 57th Street, where a massive crane dangles precariously above a road that remains closed off to workers and customers. "If you claim $15,000, they'll maybe give you $5,000," Mia said. "In six months," chimed in Alam Khan, owner of a nearby Tasti D-Lite ice cream shop. 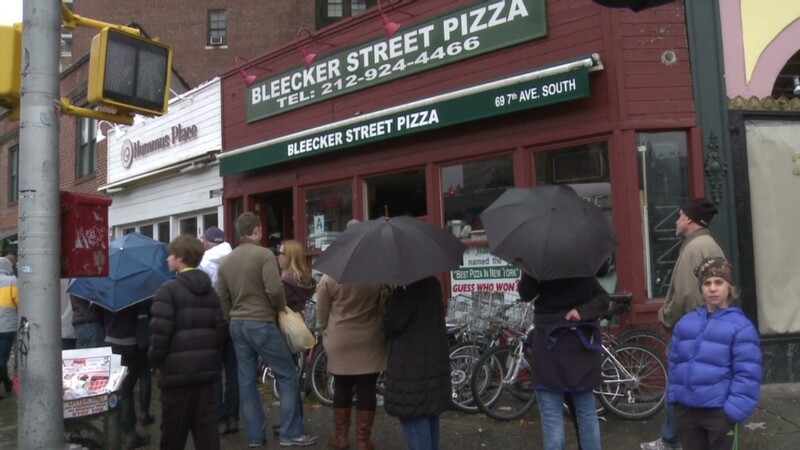 Do you have a small business that was slammed by superstorm Sandy? Email Jose Pagliery to share your story.